Venice is a fantastic destination for any art lover. That’s why we decided to offer you a guide to the best galleries to visit and art works to see during your painting holiday in Italy. So, if you’re looking to get inspired for a painting week in Venice, our art lover’s guide will provide you with plenty. In the mid 1440’s, Venice was the most powerful city in Italy and Venetian artists began to establish an international reputation reproducing the delicate, warm light of the city and their love of beauty. As a result of their expansive trade routes Venice was one of the most culturally diverse cities in Europe in the Renaissance. This can be seen clearly in the city’s art; particularly Venice’s connections with the East and Constantinople, where it can be seen in the exotic elements, such as gold mosaic that came from their long ties with Byzantium. It is this that makes Venetian art so different from the rest of Italy’s Renaissance art. If you only go to one gallery while in Venice, make it this one: Gallerie dell’Accademia. The gallery holds some of Venice’s greatest art up until the 18th century and so is perfect for those looking to get see Venice’s history in one swoop! The gallery is arranged chronologically and contains Venetian masters such as Titian, Bellini, Giorgione and Veronese. For those interested in seeing what Venice looked like in the Renaissance, Venetian’s were fiercely proud of their city and artists would painted many scenes set around the city. For example, Vittore Carpaccio’s painting The Healing of the Mad Man features the original, wooden Rialto Bridge. 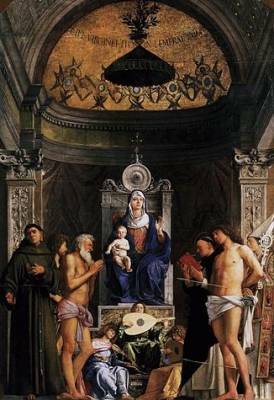 Another highlight is Giovanni Bellini’s San Giobbe Altarpiece which is arguably one of the greatest icon paintings. The figures are incredibly lifelike and the three dimensionality of the scene makes it appear almost as if you could walk into the painting; which would have been absolutely amazing to contemporary church goers (you’ll have to remember this is way before photography!) It also includes a painted gold mosaic ceiling which shows a hangover from Byzantine style and so is a great example of Venetian history. Before you leave, make sure you see Paolo Veronese’s enormous Feast in the House of Levy – the sheer size is enough to impress! While the work is meant to be a religious scene, it is full of entertaining details such as dwarves, German soldiers and people fighting; the work did not impress the Catholic Church at the time and Veronese was subject to an interrogation from the Inquisition on the grounds of heresy! For those looking for modern art, make sure you visit the Guggenheim. 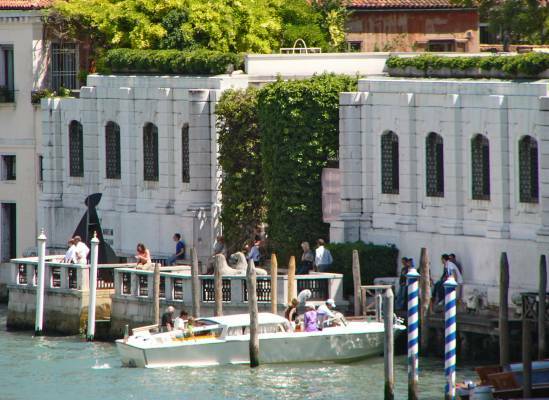 The Peggy Guggenheim is one of the most important galleries in Europe for 20th century art and is located in Peggy’s old home, the Palazzo Venier dei Leoni on the Grand Canal. Here you can see art from Peggy Guggenheim’s personal collection, the Gianni Mattioli Collection as well as temporary exhibitions. The gallery has an incredible collection of surrealism, abstract expressionism and futurism, and includes artists such as Jackson Pollock, Picasso and Dalí. After losing her father in the Titanic, Peggy befriended many artists and invited many to stay in her Palazzo on the Grand Canal. This was an interesting time in art history, as more than a mere collector, Peggy actively supported contemporary Italian art that had gone rather out of favour with Mussolini. Along with the great selection of art galleries on offer in Venice, the architecture across the city is certainly worth taking some time to explore – surely it has to be when the city is built on 117 tiny islands. Top of the list has to be the Basilica di San Marco, with its opulent design and Byzantine and Islamic influences, it is not surprising it was nicknamed “the church of gold”! 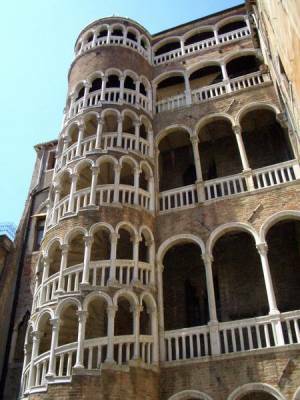 Another less well known (and therefore less crowded) building is the Palazzo Contarini del Bovolo. Built in the 15th Century it has an external, spiral staircase and a plethora of arches. For art enthusiasts we have fantastic painting courses in Venice, as well as Tuscany and Sicily, where guests can be inspired by their surroundings and receive tuition from our experienced painting teacher. For those joining us on our Venice painting holidays in June, guests will have the chance to visit the Biennale Art Festival. For more information, or to talk to a member of the team click here.